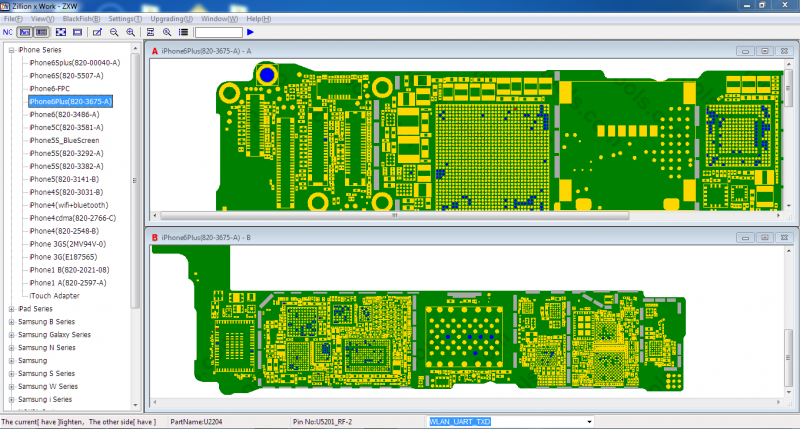 There are a few important software paramount to a successful microsoldering repair. One of these tools is called Zillion x Work (ZXW Tools). The software is freely downloadable, but it won’t work without the dongle plugged into your usb port a subscription (new in version 3.0). The USB drive acts as a security key to enable free updates and a year long subscription to the software. In order to activate, download the software, then register with your existing dongle (v2.x) or sign up for a new account. Another great feature is that another piece of software called Blackfish comes with it. The Blackfish software is a list of all of the updated schematics for the latest tablets and phones.